Dermasource Clinicals is a medi-spa skin care line with a focus on natural formulations. All products in this line use high performance peptides, anti-aging, hydrating, reparative and rejuvenating ingredients. 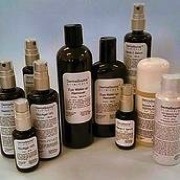 Products include acid and organic peels and exfoliators, serums, masks, eye makeup remover and SPF 30 moisturizer. Some of the most popular products are the new Organic Citrus Exfoliation Gel and Enzyme Peeling Gel. Allow your skin to become addicted... With over 40 years of outstanding results in Europe, these products have a successful track record. They are gentle and supportive to the skin and its natural flora using pure, raw materials from nature. Many of the products are preserved naturally through synergistic blending of herbs, essential oils, and other skin nutrients. Where added preservatives are required, only .01% is used. These products are made with natural plant extracts, flower essences, organic plant materials and Moor Mud. Moor Mud is an homogenous, dark substance of organic mud that has gone through a transformation over thousands of years. Because it is submerged as deep as 60 feet and is protected from the ravaging effects of the environment; it has retained all of its organic components and is a potent healing and detoxifying agent. Cryoderm Cold Therapy breaks the pain/spasm cycle and relieves sore or aching muscles and joints. Our natural ingredients include MSM, Arnica, Boswellia, Eucalyptus, ILEX, Menthol and Peppermint Oil. All Dr. Spiller products use very light water-in-oil technology designed to treat the skin gently, never drying or stripping it; all skin types in women and men can be effectively treated. Miracle Serum: pure Vitamin A and E for revitalizing your skin; reducing fine lines, helps to minimize pores, protects your skin from free radicals, and repairs sun damage. Its natural fragrance is heavenly!